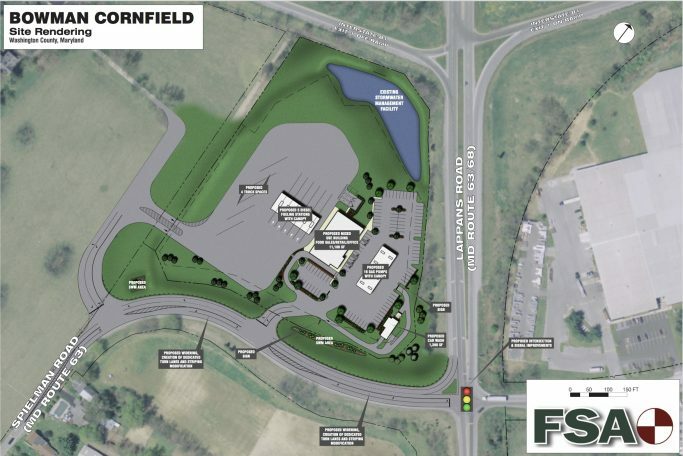 Bowman Development has received full approval of a site plan that allows for up to a 11,180 sf building that could house a convenience store, fast food restaurant and additional retail/food service space, 16 gas pumps, five diesel fuel stations, and a car wash. Construction could start quickly upon a building permit and site work could start immediately with an early grading plan permit. 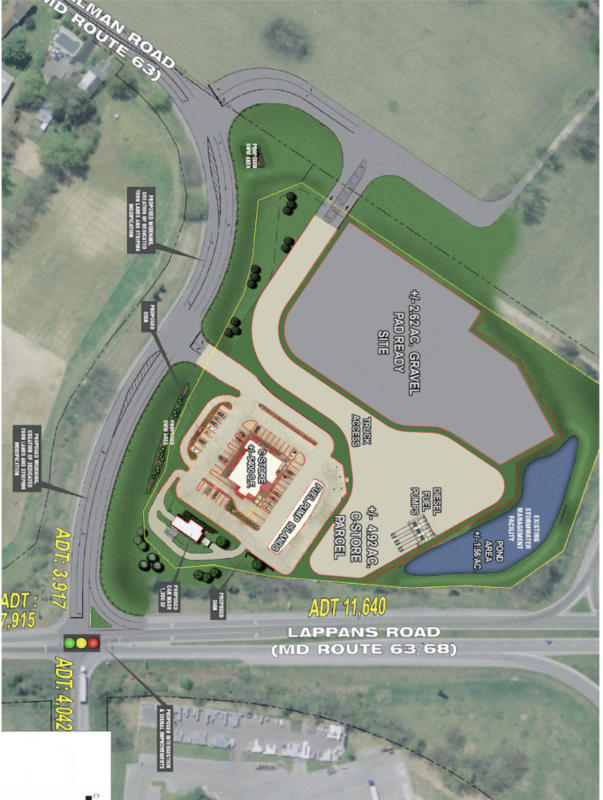 The 9.11 acre parcel is located immediately off Exit 1 off I-81 in Williamsport, MD, less than 3 miles from the I-70/I-81 interchange. 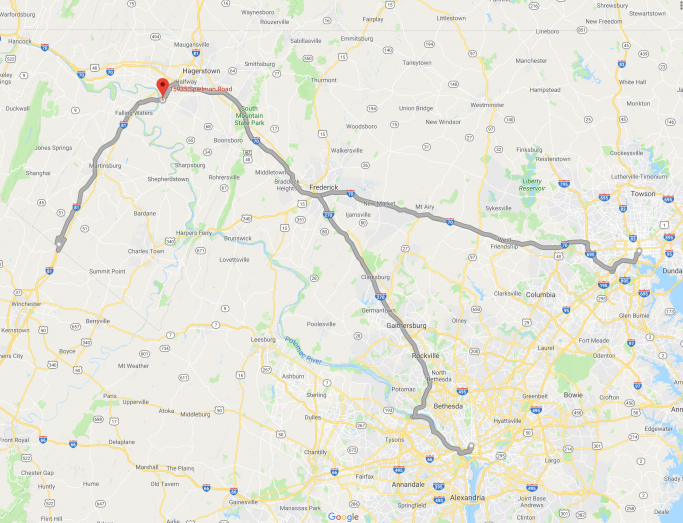 It is located at the intersection of MD 68 and MD 63. The site is located in a gas, diesel and food underserved area. In addition to the 63,712 vehicles per day on I-81, the concept plan shows the local ADT’s for the intersection. Bowman is prepared to lease the site “as is” or provide a graded site with utilities and SHA required work completed. If you are looking for a site where you can move fast and be operational quickly – this is the site. Bowman has a number of other great Convenience Store locations along I-81, I-70 and good local locations.